Hadrien Devillepoix joined the team in September 2014. He has a degree in mathematical engineering, but rapidly moved to astronomy to work on the Gaia space probe. 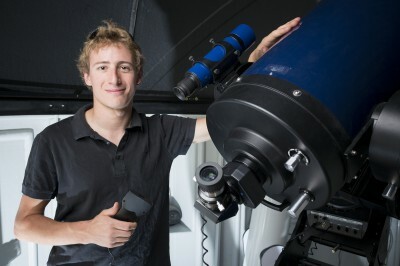 He moved from France to start a PhD with the Desert Fireball Network to use the camera network for new discoveries in astronomy, and also to improve precision on meteor coordinates using the stars. When not writing software at his desk, Hadrien enjoys fieldwork in the outback for “the best sleep you can get” under a starry dark sky. He also runs adventure races for fun.